DEBKAfile: The Trump administration is determined to avoid Iran’s nuclear bazaar which is calculated for interminable bargaining and a constant stream of half-statements for confusing the opposition. This drawn-out process of bewilderment and attrition led the Obama administration and five other world powers into signing the 2015 nuclear deal which Trump quit on May 8 after condemning it as deeply flawed. Pompeo therefore decided to cut short this tortuous process before it starts sowing confusion as a smoke screen for the nuclear program’s real activities. He therefore cut to the chase with an explicit warning directed against the expansion of Iran’s enrichment capacity before it goes any further. 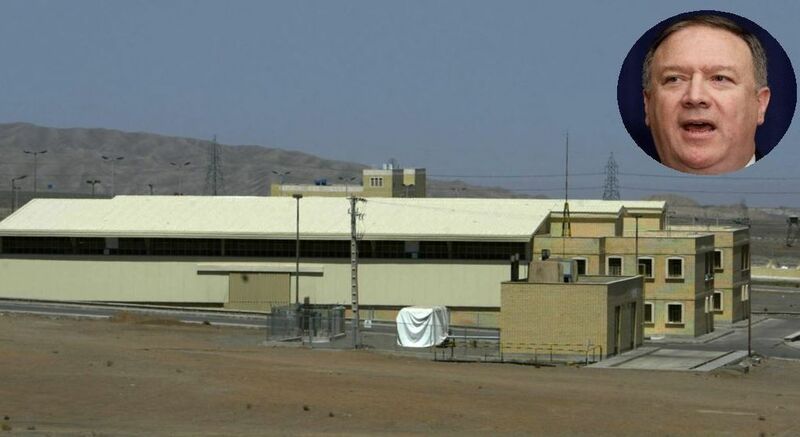 As for the “new facility” at Natanz, far from being completed in a month, as Salehi affirmed, we can report that it was built in fact four years ago – another example of Iran’s tactics of confusion. The finished building is shown in the photo at the head of this item. It is ready for activation at the push of a button. This entry was posted on June 7, 2018 at 10:19 AM and is filed under Uncategorized. You can subscribe via RSS 2.0 feed to this post's comments. You can skip to the end and leave a response. Pinging is currently not allowed.